SyncCell - The most complete Calendar and Contacts Manager for your Motorola Phone which can sync Microsoft Outlook Calendar/Contacts to your Motorola Mobile Phone with one click. ZipZap - An archive software designed for Pocket PC - create zip archives from scratch, edit (add and remove entries from a zip archive) and extract an archive to any folder on your device. Compact Locker - It provides the safest way to protect sensitive and and valuable data located on your Windows Mobile device. It encrypts any type of file. PQ DVD to iPod Video Converter - Converts DVD and Tivo2Go, DivX and other other popular video files to iPod Video, you can select entire DVD or chapters to rip. 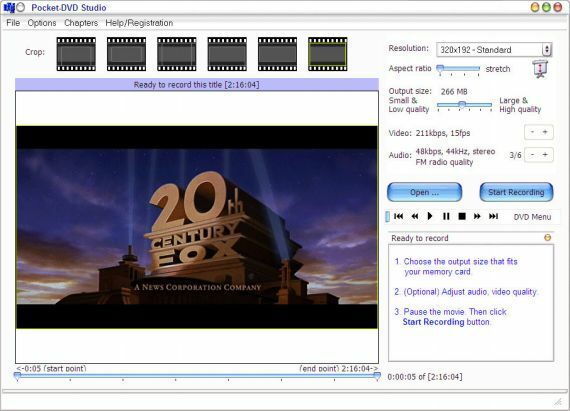 Xilisoft DVD to PSP Converter 4.0.35 - A piece of powerful DVD ripping software which can rip DVD to PSP video format MP4 and audio format MP3 with easy. Stock Quotes for PocketPC - monitor stock quotes information provided by Yahoo in real time, and read news available on the Yahoo Finance News for the selected symbol. Tune Master for Pocket PC - A great Digital Instrument Tuner which can help you to tune your strings music instruments (guitar, violin, cello, piano etc). Inbox Manager for Pocket PC - Manage your mail remotely, and let you look at the messages stored on your POP3 mail server without downloading them. iPod 2 iPhone - a great tool which allows you to transfer your music and video from iPhone to iPod, iPod to iPhone. SecuBox for Pocket PC - The encryption software that protects confidential information stored on Windows Mobile PDA or PDA Phone or its memory cards. Wondershare iPhone Slideshow - a powerful iPhone Slideshow maker which can convert your digital photo and video to iPhone MP4 files. EzPhone Recorder Pro 1.0 - A full-featured telephone recording software that records both incoming and outgoing telephone calls with your voice modem, and captures caller id. Amazing Kye 1.1 - A series of visual puzzles arranged in increasing complexity, as well as an excellent educational tool that teaches the player how to think creatively. Mobile View 0.4 - Designed for those enterprises, which need to support and serve hundreds of thousands of PocketPC-based PDA's to transfer, backup and restore data. PDAGraphiX2 2.0 - A powerful Pocket Excel Graphic Tool that help you manage your business or finance transaction and analyse them and displayed with 2D or 3D graphics. EssentialPIM Pro Portable Edition 1.5 - Manage your personal information and transaction in various aspects with this powerful PIM tool specially on portable devices. BrickShooter for WinCE/PocketPC 2.2 - A uniquely challenging puzzle game for strategists of all levels from children to grand masters. Pocket Taipei 2.0 - A wonderful mahjong game for Pocket PC that has horizontal screen mode, 60 game layouts, unlimited undo, hints etc. Adarian Money for Palm OS 3.7 - Synchronize data between a Windows PC and a Palm device, keep log your transaction, set up budget plans and manage money etc. Bubble Shooter mobile 1.0 - A cool game with simple rules and great wealth of combinations and strategies, to explode all the bubbles before they overflow the board. dotPocket lite 1.0 - Allows you to extend the visual capabilities of your Pocket PC and integrate it with your desktop system. ButterFlight 2.2 - An evil ToadWitch has imposed an ancient spell and you lost your wings. To weave the new wings you have to collect a great number of different butterflies. Championship Euchre Card Game for PalmOS - A wonderful card game that can improve your skills using unlimited hint, undo and replay, detailed history and statistics. Axara Audio To IPod 2.0.0 - All you need is to choose the music that you’d like to copy to iPod and push the button Upload. Championship Hearts for Palm - Play Hearts your way with dozens of game options at your fingertips. Popular variations including Jack of Diamonds, Spot, Gates, Sunshots and many others.